The most important aircraft produced in quantity from early 1941 to 1945 by the Focke- Wulf Company was, without doubt, the Fw-190 Wurger (Shrike in English) a mainstay single-seat fighter for the Luftwaffe. After the war, Focke- Wulf was not allowed to continue production for several years. Kurt Tank, like many other German technicians, continued his professional life in Latin America. By the end of the war more than 20,000 had been produced, and the FW 190 had become one of the world's great warplanes. The Fw-190 was one of the greatest fighters of WWII. 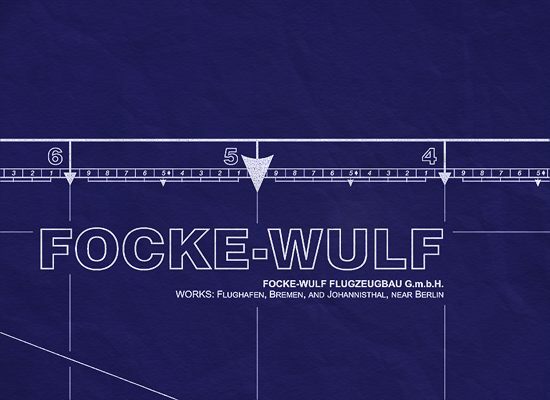 The Focke-Wulf 190 set new standards that the contenders had to rise to from its introduction to the end of the war. Continued from above… Air Ministry decided it needed another fighter aircraft to supplement the Messerschmitt Bf109. The design team was headed by Kurt Tank, the technical director of Focke Wulf Flugzeugbau. The FW190 flew for the first time on 1st June, 1939, but technical problems meant that it did not become fully operational until July, 1941. The Focke Wulf 190 had a maximum speed of 389 mph (626 km) and had a range of 497 miles (800 km). It was 29 ft 9 in (8.84 m) long with a wingspan of 34 ft 5 in (10.50 m). The aircraft was armed with 4 machine-guns and two 20 mm cannons. The Focke-Wulf Fw190 Ranks with the Spitfire, Vought F4U Corsair and North American P-51 Mustang as one of the best fighters of World War II. 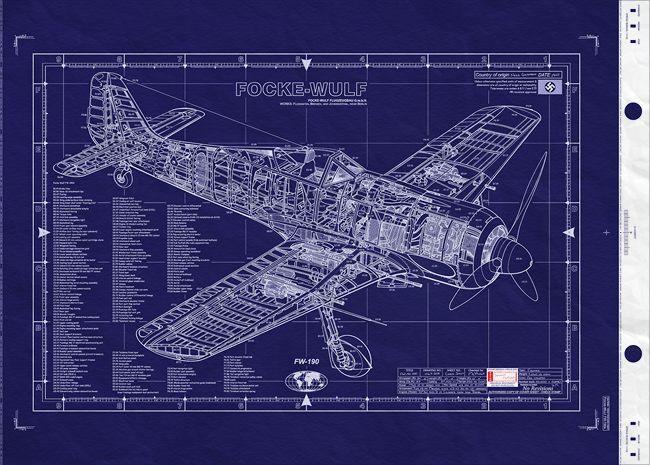 The Focke-Wulf 190 was the work of a team of German designers headed by the famous Kurt Tank. It was evolved basically as a successor to the Messerschmitt Bf 109 fighter, although the official view was that it would never be capable of matching the operational prowess of the Bf 109. How wrong this proved! The FW190 was superior to the Messerschmitt Bf109 and for the rest of the Second World War was the best fighter plane in the Luftwaffe. A total of 13,367 were built during the war. Even RAF pilots accepted that because of its speed and ease of handling it outperformed all of the first generation Supermarine Spitfires. Chief company designer Kurt Tank's Wurger (Butcher Bird) was Germanys most potent piston-powered World War II fighter When the Fw-190A entered combat in the summer of 1941. It immediately outclassed the Spitfire V, which appeared sluggish and outdated by comparison. From that time on, in spite of some heating problems with the BMW 801 engine, the 190 kept even or ahead of Allied fighters through successive versions. The Focke-Wulf was not only faster but its superior handling and faster roll rate gave it an edge in the hands of even less experienced pilots. Such sparkling performance combined with the 190's superior armament presented Allied pilots with a real challenge until German pilot training began to drop in quality. The standard Fw-190A was quickly modified to perform a number of roles, particularly that of fighter-bomber in the F and G versions. 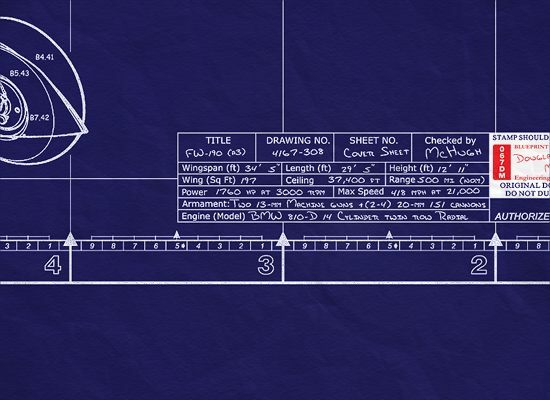 These deleted the outer 20 mm cannon in favor of various combinations of bomb racks or cannon pods for the MK 103 30 mm cannon. Later versions of the FW 190A featured up to six 20 mm cannon (FW 190A6R1); the A-6/R-6 had two 210 mm (8.27 in) unguided rockets with which to attack US heavy bombers. The Focke-Wulf 190 was undoubtedly, the best German fighter. We were puzzled by the unfamiliar silhouette, for these new German fighters seemed to have squarer wingtips and more tapering fuselages than the Messerschmitts we usually encountered. We saw that the new aircraft had radial engines and a mixed armament of cannons and machine-guns, all firing from wing positions. Whatever these strange fighters were, they gave us a hard time of it. They seemed to be faster in a zoom climb than the Me 109, and far more stable in a vertical dive. They also turned better. The first time we saw them we all had our work cut out to shake them off, and we lost several pilots. Back at our fighter base and encouraged by our enthusiastic Intelligence Officers, we drew sketches and side views of this strange new aeroplane. We were all agreed that it was superior to the Me 109f and completely outclassed our Spitfire Vs. Our sketches disappeared into mysterious Intelligence channels and we heard no more of the matter,. But from then on, fighter pilots continually reported increasing numbers of these outstanding fighters over northern France. Meanwhile, the Fw190 was also proving a good fighter-bomber, carrying a reasonable bomb load or, in some cases, rocket projectiles. The new war started by Hitler on the Eastern Front resulted in most of the new production Fw-190s being thrown into the fighting against the Russians. Others were needed equally urgently by Rommel in North Africa, to combat the Western Desert Air Force and Allied ground forces who, by the latter part of 1942, were pressing hard at Alamein. The wide track landing gear assured ease of handling on takeoff and landing, unlike the twitchy Messerschmitt 109. The FW190 was also one of the first fighters to feature a clear rear canopy, allowing pilots to keep an excellent lookout for enemy fighters. The Fw-190, one of Germany's best fighter airplanes of WW II, made its first flight on June 1, 1939. It appeared in action over northwestern France in September 1941 and rapidly proved its superiority over the Mark V Spitfire, Britain's best fighter of the period. Most Fw-190s were the "A" series, powered by a BMW radial engine. Late in 1943, however, the "D" series appeared in action against U.S. bombers, powered by the Jumo 213 inline, liquid-cooled engine. With its more powerful engine, the "D" had better performance than the "A" but because of the lengthened nose, a 20-inch section had to be added to the fuselage just forward of the tail. 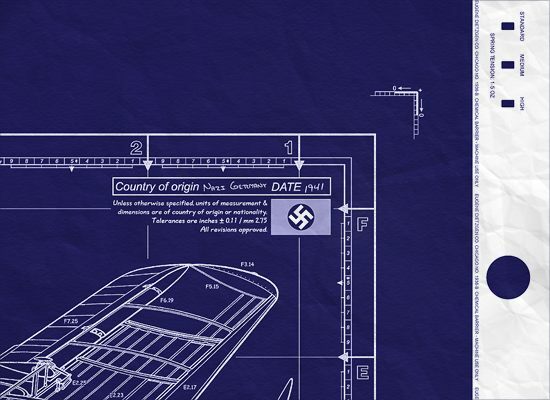 During its lifetime, more than 20,000 Fw190s of all types were built.